Welcome to GeePaxManufacturer & Exporter of Tools & MachineryWe are an ISO certified company, established in 2007, at Delhi. Our Well equippedinfrastructure & complete customer satisfaction make us unique in the industry. innovative design, Market leading prices & Timely delivery make us the first choice ofour clients. We offer a vast range of Boron Carbide, Diamond & Tungsten Carbide Tools. Polycrystalline Diamond Tools offered by us are best in the industry amongst others. We offer Tungsten Carbide Tools that are in huge demand across the global markets. 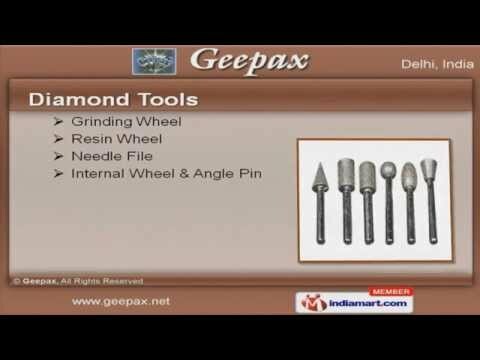 Our Diamond Tools are extremely reliable. Along with that we offer Boron Carbide Powders that are widely acclaimed in themarket. We also provide Synthetic Diamond Powders that are nothing but the best solution forall your needs.